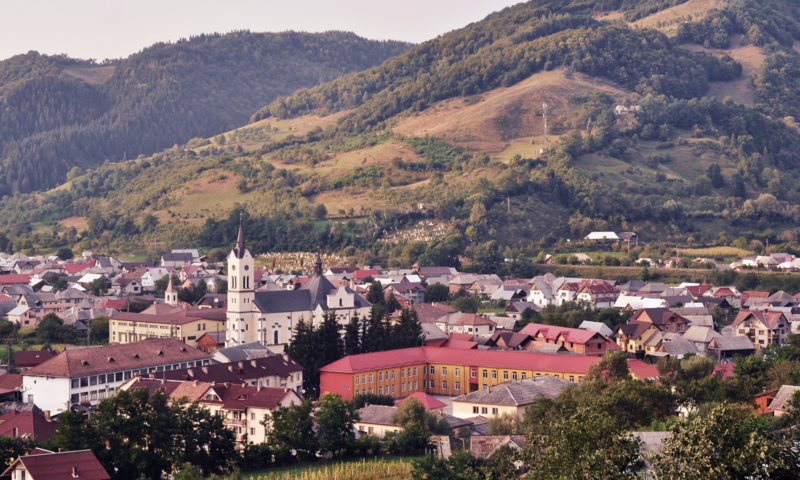 Since 2012, Telciu, a village in Bistrița-Năsăud County, has been hosting the annual Telciu Summer Conferences supported by the local authorities, focusing on issues in the social sciences and humanities. In 2016 the conferences became part of the newly-established Center for the Study of Modernity and the Rural World. The conference is based on an interdisciplinary approach, bringing together scholars and activists from a large array of domains such as history, sociology, literary studies, philosophy, political economy, environmental studies and anthropology, themselves enthusiasts of dialogues between diverse fields, theories, and methodologies. Because we believe that the production and dissemination of knowledge must be kept as far away as possible from a market and profit oriented logic, attendance to the conference is free for both presenters and visitors. Valer Simion Cosma, founder and organizer of Telciu Summer Conferences since 2012. President of the Center for the Study of Modernity and the Rural World. Founder and organizer of Telciu Summer School since 2016. Researcher at Research Innovation Foundation in Bucharest, Romania. Manuela Boatcă is Professor of Sociology at the Albert-Ludwigs-University Freiburg, Germany. Organizer of Telciu Summer Conferences since 2015, member of the Center for the Study of Modernity and the Rural World. Founder and organizer of Telciu Summer School since 2016. Bogdan Vătavu, librarian at “Octavian Goga” Cluj County Library, graduate of Babeş-Bolyai University, the Faculty of History and Philosophy. Organizer of Telciu Summer Conferences since 2012 and member of the Center for the Study of Modernity and the Rural World. Ion Matei Costinescu is a PhD candidate in the Faculty of Sociology and Social Work, University of Bucharest. Member of the Center for the Study of Modernity and the Rural World. Member of the organizing committee of the 5th edition of Telciu Summer Conferences (2016) and of the 1st edition of Telciu Summer School. Ovidiu Țichindeleanu, philosopher, translator and culture theorist. Member of the Center for the Study of Modernity and the Rural World. Founder and organizer of Telciu Summer School since 2016. Member of the organizing committee Telciu Summer Conferences since 2017. Alina Branda is a university lecturer at the European Studies Faculty, Babeş-Bolyai University, Cluj-Napoca. Member of the Center for the Study of Modernity and the Rural World. Member of the organizing committee of Telciu Summer Conferences since 2017 and of Telciu Summer School since 2017. Cornel Ban is Reader in International Political Economy at City University of London and Visiting Associate Professor at Copenhangen Business School. Member of the organizing committee of Telciu Summer Conferences and Telciu Summer Schoo since 2018. Theodor Constantiniu is a PhD candidate at „Gheorghe Dima” Music Academy, Cluj-Napoca, Romania. Member of the Center for the Study of Modernity and the Rural World. Member of the organizing committee of Telciu Summer Conferences and of Telciu Summer School since 2017. Madina Tlostanova is Professor of postcolonial feminism at the Department of Thematic Studies (Gender studies) at Linköping University, Sweden. Member of the organizing committee of the 6th and 7th edition of Telciu Summer Conferences (2017, 2018) and of the 2nd and 3rd edition of Telciu Summer School (2017, 2018). Norbert Petrovici is a university lecturer at the Faculty of Sociology and Social Work Babeş-Bolyai University, Cluj-Napoca. Member of the Center for the Study of Modernity and the Rural World. Member of the organizing committee of the 6th and 7th edition of Telciu Summer Conferences (2017, 2918). Ágota Ábrán is a PhD candidate at the University of Aberdeen, Scotland, UK, in the Department of Social Anthropology and member of Center for the Study of Modernity and the Rural World. Her research topic centres on the process of plants becoming medicinal in Romania, focusing on commodification, valuation studies, medical anthropology, and the overcoming of Cartesian dichotomies between the social and the natural. Member of the organizing committee of Telciu Summer School and of of Telciu Summer Conferences since 2017. Anca Pârvulescu, Washinghton University, St. Louis, US. Member of the organizing committee of the 7th edition of Telciu Summer Conferences (2018). Julia Roth, Centre for Inter-American studies, University of Bielefeld, Germany. Member of the organizing committee of the 7th edition of Telciu Summer Conferences (2018). Nicolae Bosbiciu is professor of literature at ”George Coșbuc” College in Năsăud. Member of the organizing committee of the first three edition of Telciu Conferences (2012, 2013 and 2014). Orice doritor este binevenit să asiste la comunicări și să participe la discuțiile/dezbaterile aferente. Nu există niciun fel de obligație financiară. Dar țin să vă anunț că nu putem acoperi cheltuielile de cazare și masă pentru cei care asistă la lucrări. Dar există mai multe variante pentru cazare, iar prețurile la restaurante sunt accesibile. Vă așteptăm cu drag.